No political institution is absolutely sound at all times in all places. Its value varies with the changes in time and circumstances, which are actually the determining factors for the modern transformation from absolute monarchy into constitutional democracy. There is neither a definite standard for such transformation nor a workable rule for its success or failures. These, again, depend upon the particular background of a country, determination of the people, as well as other important elements. 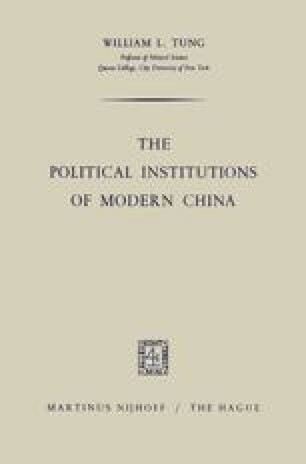 The uncertainty of the overall situation in modern China was the underlying reason for her frequent shifting from one government system to another.